Book your self-contained Apartment for your next stay in Cairns right here with us. Our online booking service is secure, easy to use, and quick to access. When you BOOK-DIRECT you will immediately see the DISCOUNTS and any SPECIALS on offer along with real-time availability. We want your stay in Cairns to be enjoyable, so book your accommodation DIRECT and start SAVING. What are you waiting for? Come stay with us. 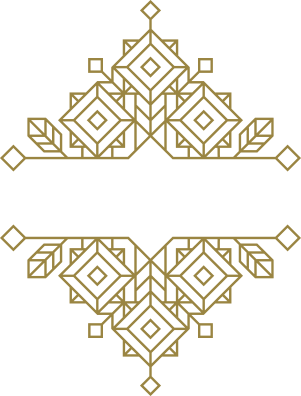 Boasting 38 self-contained apartments, Inn Cairns Boutique Apartments is the perfect place to stay for comfort and convenience. Experience Cairns CBD inner city accommodation positioned just moments away from public transport, leading fashion and lifestyle outlets at Cairns Central Shopping Centre. Many of the key Civic, Business and Government offices are located on Lake Street or within a short walk from your Inn Cairns Apartment. The CQ University is just around the corner, the iconic Esplanade and Lagoon, the Cairns Cruise Terminal and award winning Cairns Convention Centre all within an easy walking distance. The Apartments are comfortably furnished and offer an easy and self-contained stay for single travelers, couples, families, groups and long stays. Several outdoor communal areas, including a pool and BBQ, provide great spaces for relaxing and entertaining. Literally ‘just down the road’ from the airport and right in Cairns CBD with all the city has to offer. Our location is one of our best assets. Guests staying with us enjoy FREE Wi-Fi access and FREE Secure Parking as well as a Rooftop Terrace, Swimming Pool and BBQ area, on site Tour Desk and Car Hire services, Luggage Storage area, After Hours Check-in facilities, Lift access to all apartments. In a rare touch for city centre accommodation, our guests can enjoy FREE secure parking (with 2.3m clearance), fully undercover and split across two levels. Make the most of exploring the Tropics region by bringing a car but avoid the stress or cost associated with street parking. We also provide Printing, Photocopying and Business services at our Front Desk. Inn Cairns Inn Cairns updated their profile picture. Inn Cairns's cover photo Inn Cairns updated their cover photo. Inn Cairns Boutique Apartments, Cairns Welcome to Inn Cairns Boutique Apartments, self contained accommodation located in the heart of Cairns. Happy Father's Day to all the dad's in Tropical North Queensland from the team at Inn Cairns Boutique Apartments. Hope you all have an enjoyable day. Looking forward to staying here next month. Inn Cairns's cover photo CAIRNS is a great holiday destination ...great shopping, great coffee, great people. Did you know we grow our own coffee in FNQ? Inn Cairns updated their cover photo. Used coupon code 3DAY on inncairns.com.au. Seen something awesome around Cairns? Show us at #inncairns. We want to be amazed!